Order in the next 3 hours, 57 minutes and 51 seconds for same day shipping. 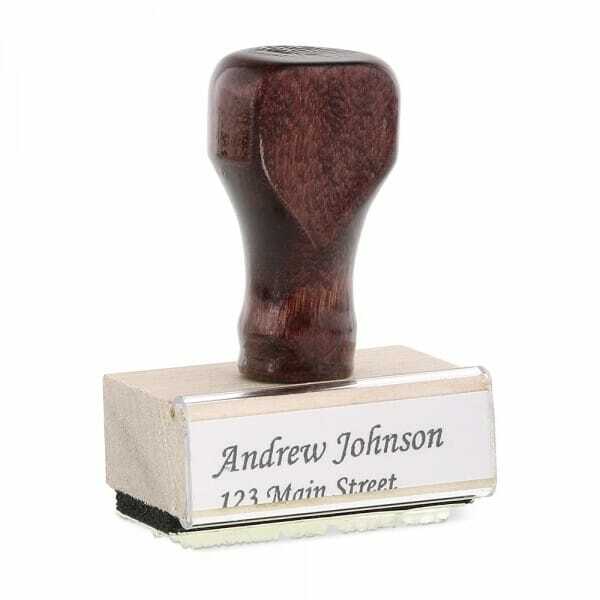 This stamp produces an impression, which is 3/4" X 1-3/4" and can accommodate up to four lines lines of text. Images, logos and text can all be added effortlessly using our online design wizard. Customer evaluation for "Rubber Stamp - wood - 3/4" X 1-3/4" up to four lines"